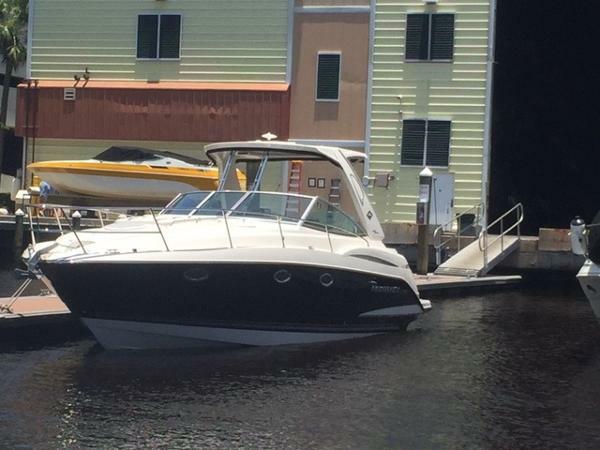 2009 Monterey 320 Sport Yacht This 2009 32' Monterey Sport Yacht is in nice condition. She has been meticulously maintained by her original owner since new. It is powered with desirable twin 300hp Volvo engines with upgraded Ocean X outdrives. She is loaded with options and extra custom items. Seller is looking for offers. 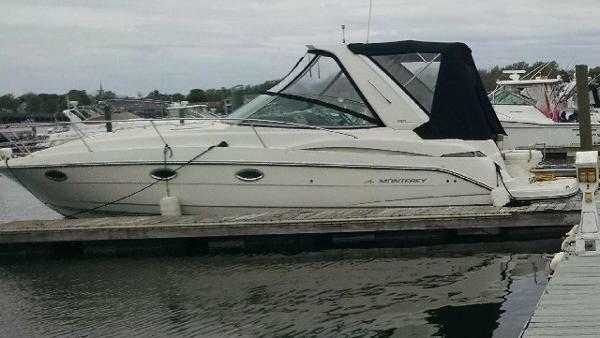 2009 Monterey 320 Sport Yacht PRICE JUST DRASTICALLY REDUCED FOR IMMEDIATE SALE. 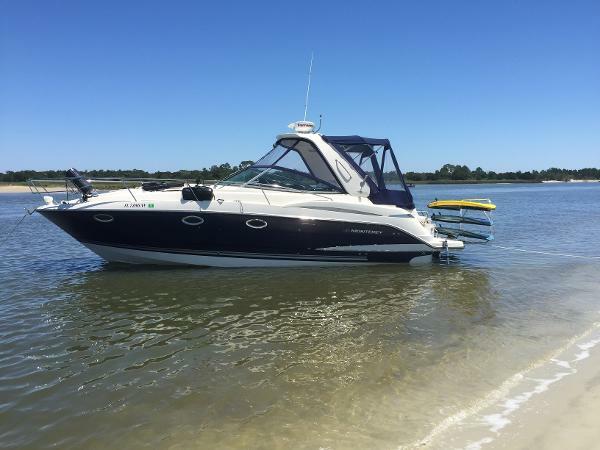 SELLER ALREADY HAS PURCHASED A NEW BOAT AND MUST SELL THIS ONE. BEST PRICE ANYWHERE FOR THIS AMAZING BOAT. CALL NOW. Monterey combines elegance and quality in this 32 foot sport yacht Cruiser. It has all the features expected in a high end cruiser. Heat , air conditioning, genset, tvs, and more. Full galley for entertaining and enclosed head for privacy. Owner wants a bigger boat. This boat has been maintained professionally and shows. Call or come in today to see this beauty. Boat is currently wrapped for the off season but pictures to follow soon. Current owner loved this boat as he was over 6 feet tall and had room to spare in the cabin and in the head. never had to duck. This is a great looking boat that really needs nothing but a new captain. All service history available. 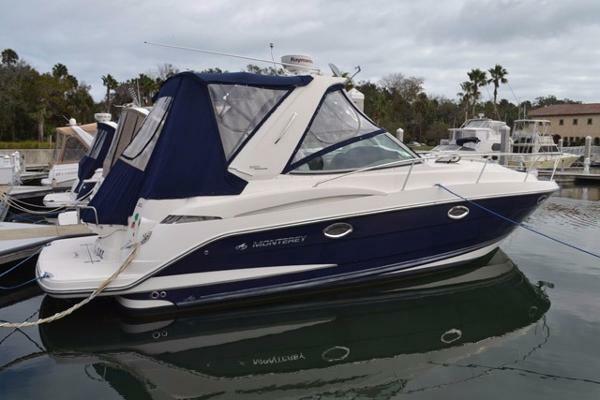 2011 Monterey 320 Sport Yacht 2011 Monterey Monterey 320 Sport Yacht Take advantage of your chance to purchase a 1-owner, freshwater, dealer maintained 320 Sport Yacht. 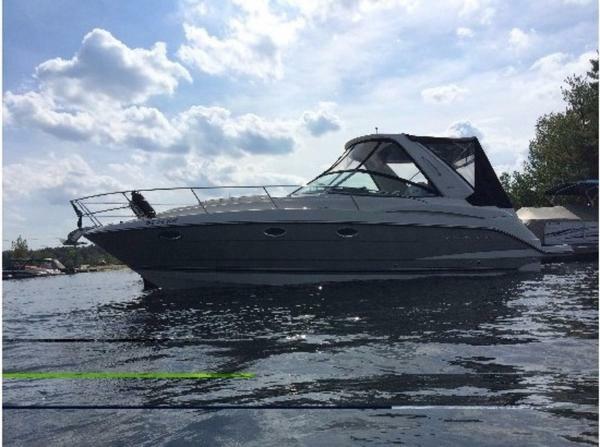 This vessel has been on Sebago Lake since new and kept in immaculate condition by a very meticulous owner. Joystick and electronic vessel control are included as well as a Kohler 5Kw generator with under 10 hours of run-time. This boat will not disappoint! In addition to hitting certain design, structural, performance, and luxury standards, a truly good cruiser should also improve the view of the waterfront upon which it is moored. Monterey hits all these targets with its new 320 Sport Yacht. Well-fitted and equipped in style, this express handles smartly and is delightful to look at. Seeking a new midsized cruiser? You must check out this boat. You will not find a cleaner and better maintained 320 Sportyacht anywhere! Owner is moving up! 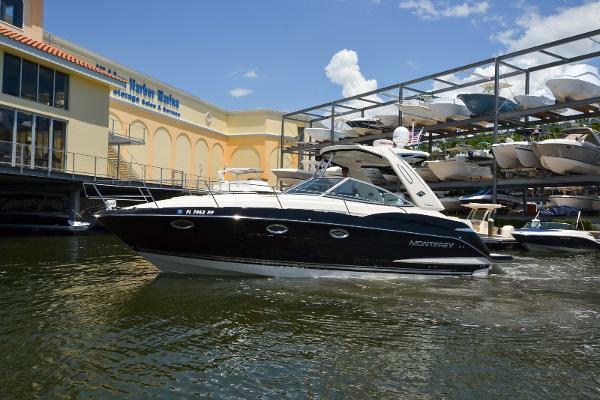 2014 Monterey 320 Sport Yacht Monterey 320 Sport Yacht in perfect condition. This is an extremely nice boat. 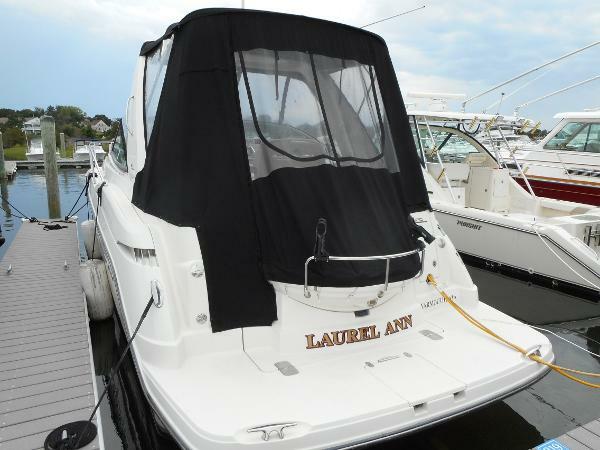 Save $100,000 from new and get the same exact boat in the same exact condition. This vessel has been stored indoors her entire life. No expense has been spared in her care. Full annual services regularly completed. The just don't come any nicer than this beauty! Mercruiser 350 Mags with AXIUS JOYSTICK! Engines under warranty until May of 2019! Call Shawn Henderson today for a private showing.